Welcome to Tivoli by the Sea Vacation Properties! Emerald Coast by Owner is proud to be your premiere vacation rental community for this area. Tivoli by the Sea speaks for itself, it's as close to the ocean as it gets! Right along the white sands and blue waters of the gulf, you don't want to miss out on a trip here. During your stay, you can relax on your balcony overlooking the coast, lay on the beach or go to a local spa and receive some amazing treatment. If you're looking for a fun trip with some awesome activities that are fun for everyone, you're in the right place. Some popular things to do around here include parasailing, Big Kahuna's Water Park, deep sea fishing, boat tourism, golfing, bowling, rock climbing and more! An interesting place to go is the Destin Commons, where there are some traditional restaurants serving delicious food, and over 90 stores in the outdoor mall to shop in. 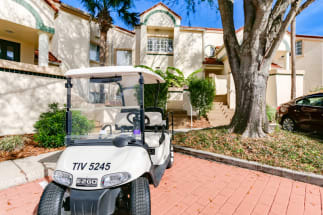 Book your next vacation at the beautiful Tivoli by the Sea. Scroll down now to view our selction of townhomes available for rent. If you find a property that you are interested in booking, be sure to reach out to the property owner directly by refering to their contact information found on each listing. Booking your rental directly with the owner is the best way to assure you are not paying any unnecessary fees! Book online today with ECBYO.